Teresa will have about a week off before she begins her summer job at the East York, Pennsylvania Chick-fil-A, her fifth summer working at the restaurant. While Teresa primarily serves at the counter and prep area, she has adopted another unique role – one that is very special to her and to members of the surrounding community. During the summer of 2017, the 20-year-old bridged a gap by creating a video specifically designed to help the deaf community have a better experience at the restaurant, a video now seen by more than 40,000 people online. Teresa remembers the moment she first fell in love with American Sign Language. It happened while she was an altar server at her church during her junior year of high school - there was a sign language interpreter during mass. That moment started a movement for Teresa. She took an American Sign Language class at another local church and realized she could bring her newfound passion to her professional life as well. The idea for a video quickly followed. 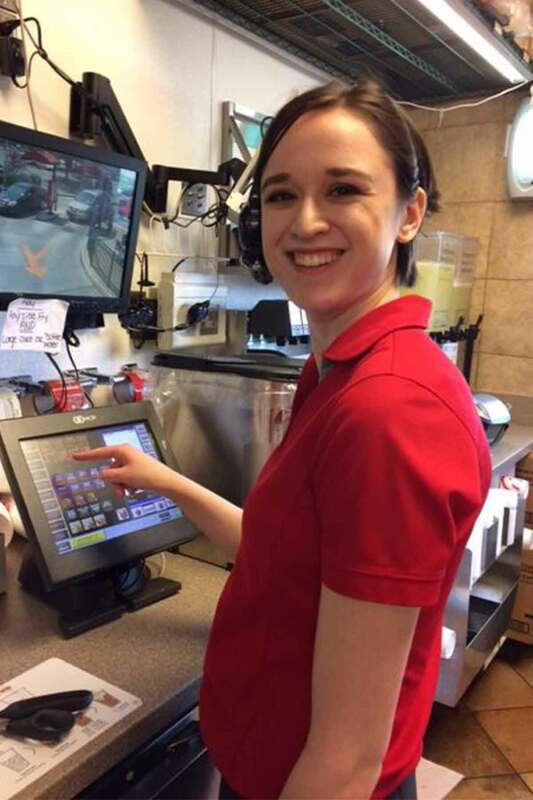 In the video posted to the restaurant’s Facebook page, Teresa uses sign language to show deaf individuals how to use the Chick-fil-A One Mobile App to order meals and earn free treats, and in turn avoid a language barrier. The video was an instant success, exceeding 3,500 views in less than two weeks.. It’s been shared on Chick-fil-A’s national Facebook page, and was even highlighted at an Events Industry conference in Washington, D.C., as an example of corporate inclusion. Teresa’s video not only had an impact on the deaf community around the restaurant, but also on her fellow Team Members. Along with learning sign language to help out when Teresa is not around, other Team Members are taking various additional language courses as well, according to Dallas.